Win a VIP Trip to the Oscars with HBO! 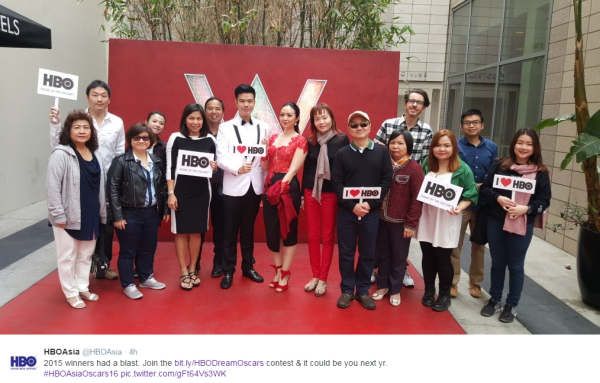 Assist HBO with their high-profile Oscars competition by organising flights, ground arrangements and event logistics for a group of 14 winners and guests from 7 territories in Asia. The prize was an unforgettable three-night trip to Los Angeles for the Oscars. The experience included luxury hotel accommodation in the heart of Hollywood plus a whole host of A-list activities. From an exclusive shopping experience at a top department store with spending money and advice from a top stylist, to dinner at a celebrity chef’s restaurant and a private tour of Beverly Hills. Bleacher tickets to the Oscars were supplied by HBO and we made sure the group arrived in style with VIP limo transfers! The competition has been such a success since it first launched in 2015, that we have managed the prize logistics for the event every year since. We had such an incredible experience; both you and HBO completely spoilt all of the contest winners! Thank you so much again for giving us the trip of a lifetime.